Kites and Komets, aka Mikael Kærsgaard, is ready to send a new album out on the street. The songs on ‘Do You Believe in Love Today?’ is written on Mikael’s mother’s old Spanish guitar, and the strong melodies and pop-ish core are still the brand of Kites and Komets. But the pace is taken down, focusing on the simple sound image and songs built on the dream as the driving force. 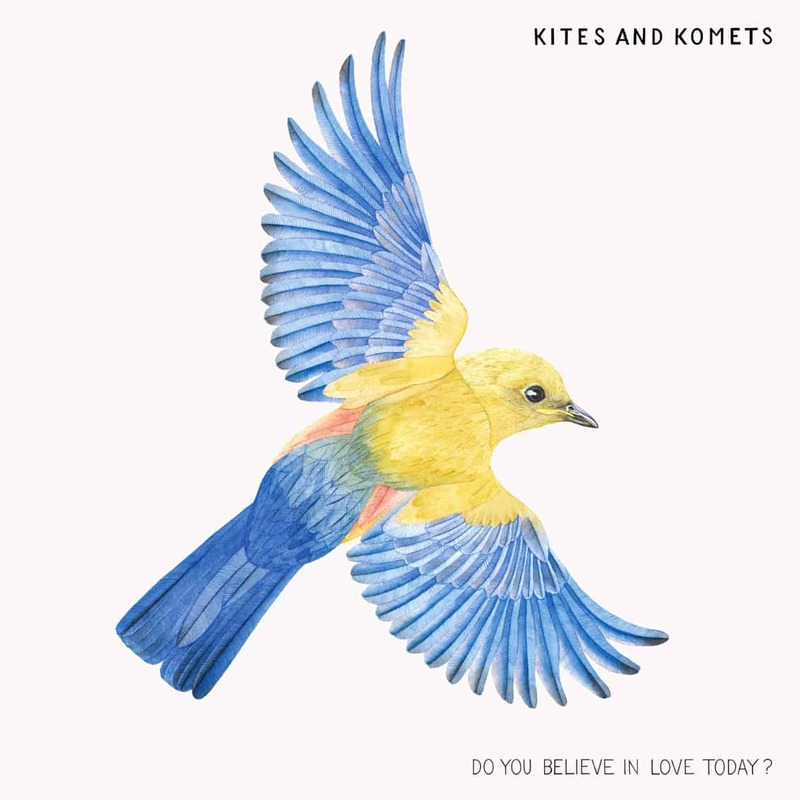 Kites and Komets has been an established name on the Danish music scene since Mikael won the National Danish Radio’s music competition ”Karriere Kanonen” in 2011. But in recent years there has been quiet around Kites and Komets – on the outside. Mikael has been in a writing exile and working back to his starting point as a songwriter. The good song, that can stand alone with only guitar and vocals. And then he has become a father. A life-changing event that has largely inspired the major themes of the album. The time that passes and shapes our lives in the meantime. ”Do You Believe In Love Today?” Mikael asks in the title track – a bubbly, acoustic guitar-driven pop song with an almost cinematic narrative. The picture is simple: I believe in love, I hope you also do, and I dream that we also do tomorrow. “When I was 11 years old I had a band with two friends. I was very fond of it, and I drew a bunch of drawings of the band in a small book I had. This is the “old book with my drawings of magic future times”; I’m writing about in ‘Sometimes Your Dreams Seem So Alive’. The song is about what we put up if we have no dreams to chase? In fact, I don’t think we can move forward without dreaming, ” Mikael says. 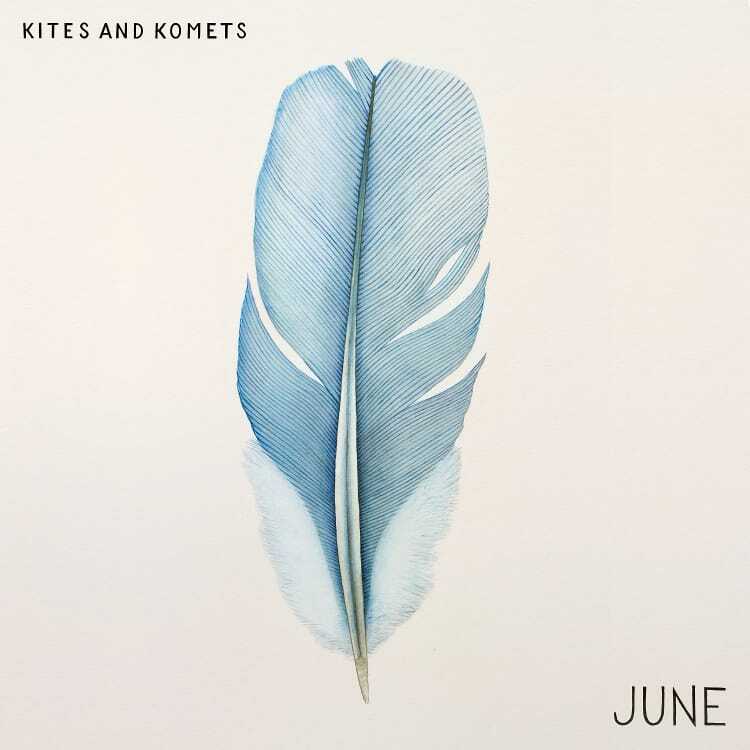 The first single, ‘June’, from the album came out in January and marked the start of a new chapter for Kites and Komets. The last year’s songwriting has given him a focus on the essentials in his process and the old Spanish guitar, that once was Mikael’s mothers, who started his musical journey as a child, sets the tone into this new personal story. “Several of the songs on the album are about reminding yourself of the positive experiences life gives. Doubt and darkness is a condition for the dream of the good, and therefore the dream is also a choice to see the good in every day. Being a father has created a new understanding of time for me, and it has reinforced my focus on appreciating the moment. In the context of that, the perpetuity of life is also a theme on this album, as in the ending track ‘Till We Die’. The knowtion of death as a part of life can give clarity in choosing the things in your life that really matters. Time is a pivotal point of the album, ” Mikael says. Mikael has recorded and produced the album in collaboration with Simun Lindholm Mohr (bass), and Brian Batz (Sleep Party People) has been mixing. The string ensemble Who Killed Bambi contributes on six of the album’s songs, Jonas Haahr Petersen (Hymns From Nineveh) contributes with vocals and piano on two songs, and as a text consultant on the album. Nikolaj Paakjær (Hymns From Nineveh) and Andreas Brixen (Bodebrixen) also appears on several of the album’s songs. Kites and Komets is ready with a new single from the upcoming album. ‘Sometimes Your Dreams Seem So Alive’ is a guitar-driven folk-popped track about the dreams that carry us through life. The song is inspired by Mikael Kærsgaard’s own childhood drawings of himself and his friends and their big band dreams. 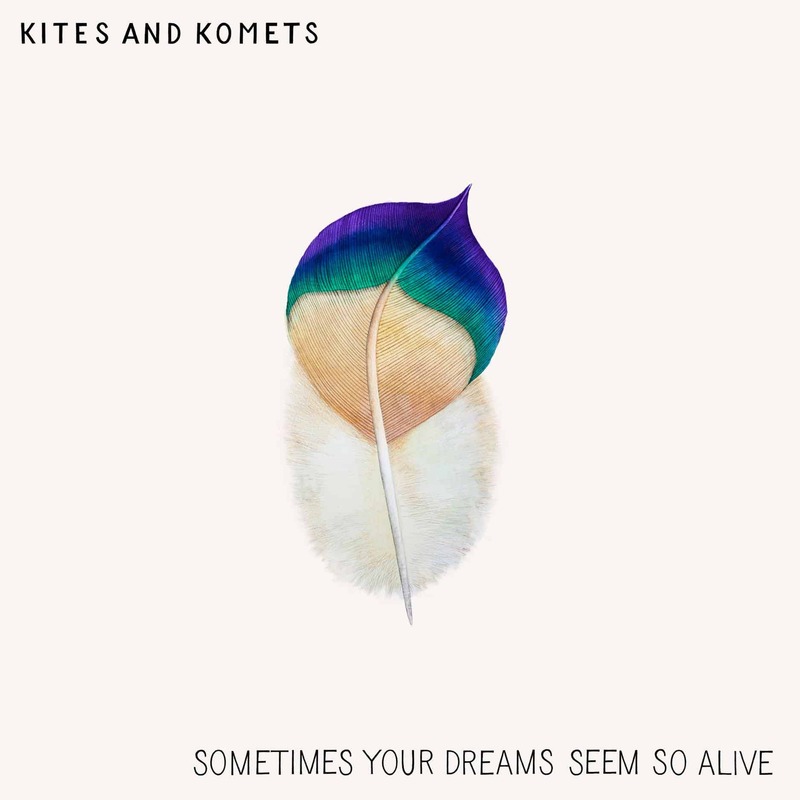 Kites and Komets has been a established name on the Danish music scene, since Mikael won the National Danish Radio’s music competition “Karriere Kanonen” in 2011. In recent years, Mikael has been writing and working back to the starting point as a songwriter: The good song that can stand alone with a guitar and vocals. 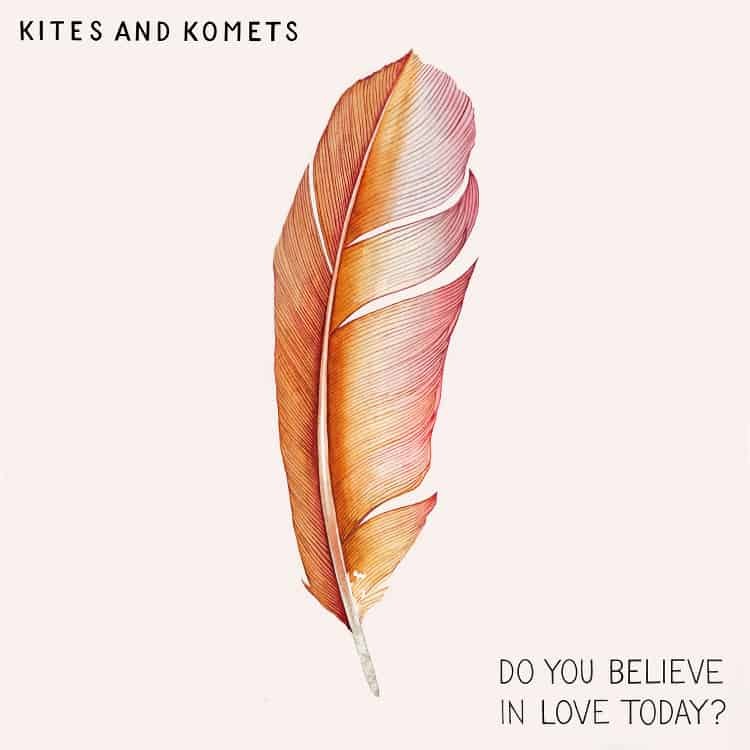 The latest single from Kites and Komets was the title song of the upcoming album “Do You Believe in Love Today”. Along with the first single ‘June’, it has marked the start of a new chapter for Kites and Komets. The last year’s songwriting has given him a focus on the essentials of his process and the old spanish guitar, that once was Mikael’s mothers, who started his musical journey as a child, sets the tone into this new personal story. ‘Sometimes Your Dreams Seem So Alive’ is out on all streaming platforms. The album *Do You Believe in Love Today?’ is out on May 18th. Mikael has recorded and produced in collaboration with Simun Lindholm Mohr (bass), and Brian Batz (Sleep Party People) has been mixing. The cover is handcrafted by artist Jens Paldam. Click here for streaming options! Kites and Komets aka Mikael Kærsgaard is out with a new single from the forthcoming album ‘Do You Believe in Love Today?’. The new single with the same title is a bubbly, acoustic guitar-driven pop song full of faith, hope and love. Like the rest of the new album, this new single has been born in a writing exile where Mikael has travelled back to the starting point of his songwriting: The good song that can stand alone with guitar and vocals. And then he has become a father. A life-changing event, which has largely inspired the album’s major themes. The time that passes and shapes our lives in the meantime. ”Do You Believe In Love Today?” Mikael asks in his song, with a cinematic narrative, where the scene is set between a couple who drives through the landscapes of Arizona. The picture is simple: I believe in love, I hope you also do, and I dream that we also do tomorrow. The single is followed by an album with the same title on May 18th. Mikael has recorded and produced the album in collaboration with Simun Ørgaard Mohr (bass), and Brian Batz (Sleep Party People) has been mixing. The cover is hand drawn and collored by artist Jens Paldam. The new single, June, marks a brand new chapter for Kites and Komets. It is the first single from Kites and the Komets in four years. A catchy folkpop song that gives the beautiful month of the summer a woman’s shape and seizes our eternal pursuit of reaching a point further ahead, rather than choosing the present moment. June marks a new chapter for Mikael Kærsgaard’s musical alias. The last year’s songwriting exile has given him a focus on the essentials of his process – the guitar and the good story. The old spanish guitar, that once was Mikael’s mothers, where he started his musical journey as a child, strikes the tone for the new single and personal story. “No matter how much i’m searching for meaning and focusing on the next hilltop, it will not make me happy or give me more value. June is a picture of this – the month that chases the daylight, wins the longest day of the year, and then loses it again when the days turn and gets shorter. I think we miss what matters if we do not appreciate every new day that comes and focuses on the good”, Mikael explains. The catchy core is intact on the new single, but the pace is taken down. The musical arrangement in the song is built on Mikaels spanish guitar and strings in a simple and moving soundtrack with Mikael’s strong vocal in the front. Mikael has recorded and produced the song in close collaboration with producer and bass player Símun Ørgaard Mohr. Brian Batz (Sleep Party People) has been mix engineer. June not only announces a warmer season, but also a brand new album from Kites and Komets, which will land later in 2018.